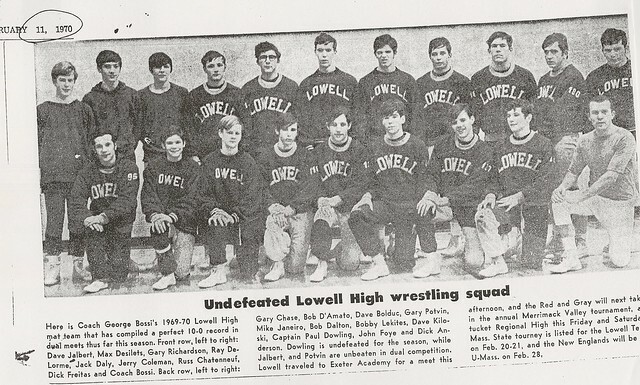 Competing in an era replete with three sport athletes at Lowell High School, Paul Dowling might have been the most impressive of them all as he learned the tools of the athletic trade from three Hall of Fame coaches, eventually winning nine varsity letters. 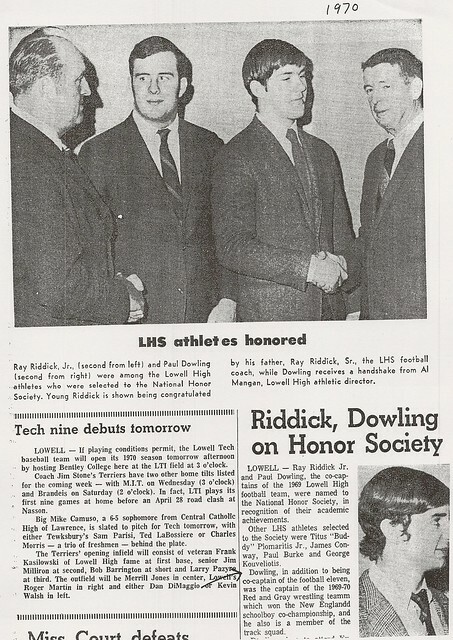 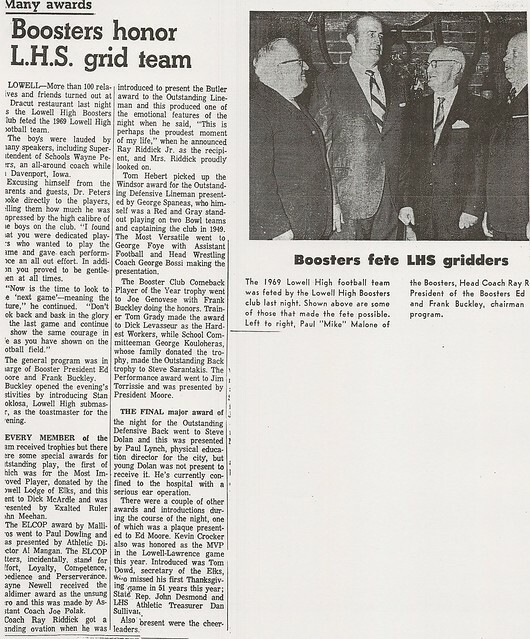 A three-year varsity Football player under legendary Coach Ray Riddick, Paul was a member of the undefeated 1967 LHS squad. 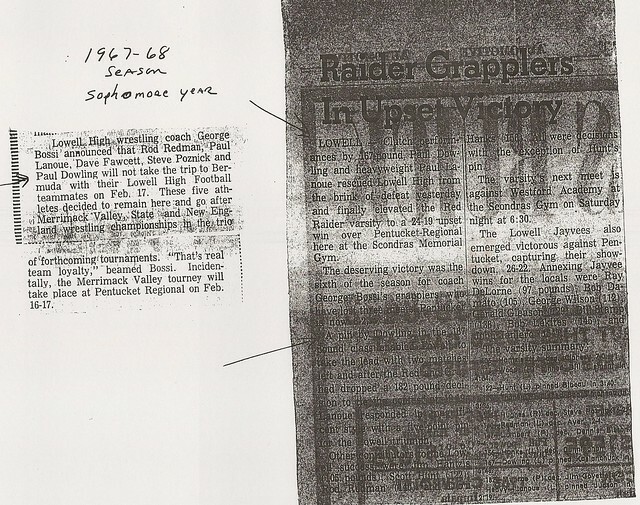 Later as a senior (1969) Paul was team Co-Captain of the Raiders, a two way standout at end and linebacker. 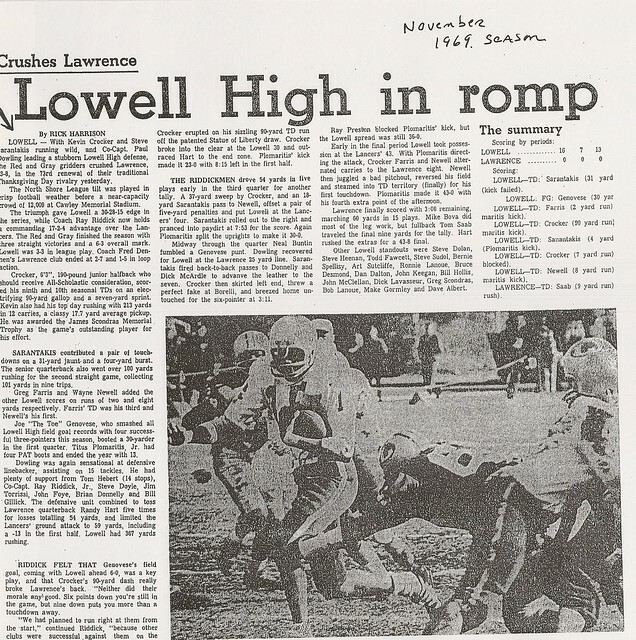 Paul won game balls for his outstanding efforts against Weymouth and Beverly and closed out his Red and Gray grid career recording 15 tackles and recovering a fumble in a 43-8 Thanksgiving Day rout of arch-rival Lawrence. 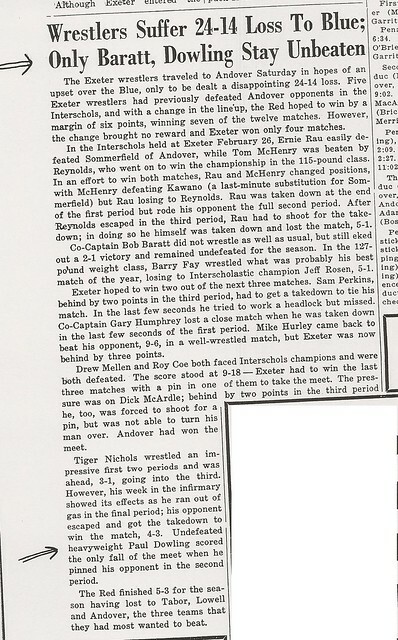 Paul received the coveted ELCOP MVP award at the conclusion of the season. 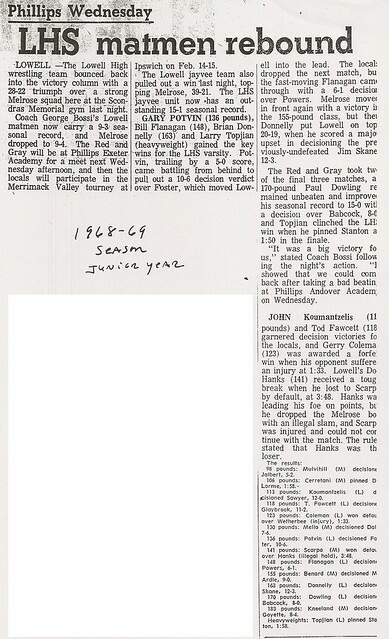 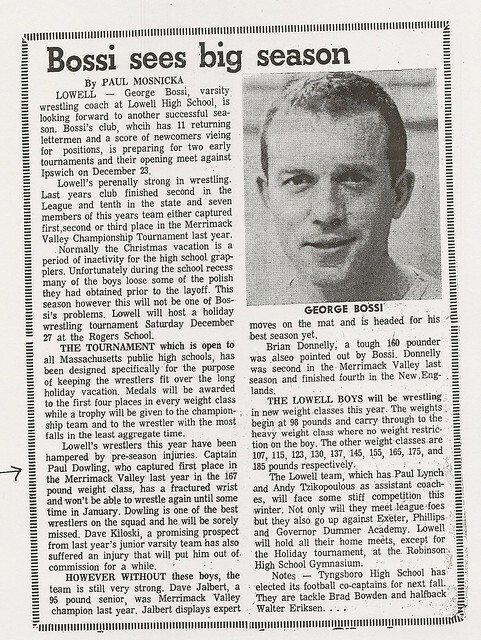 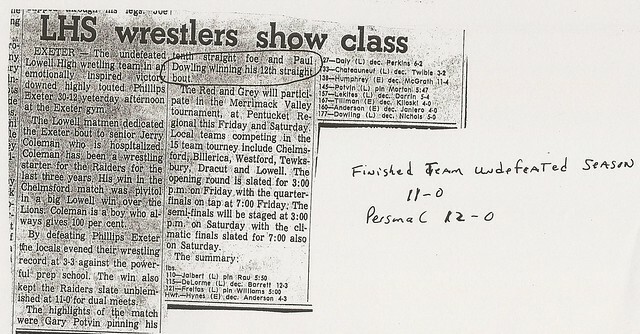 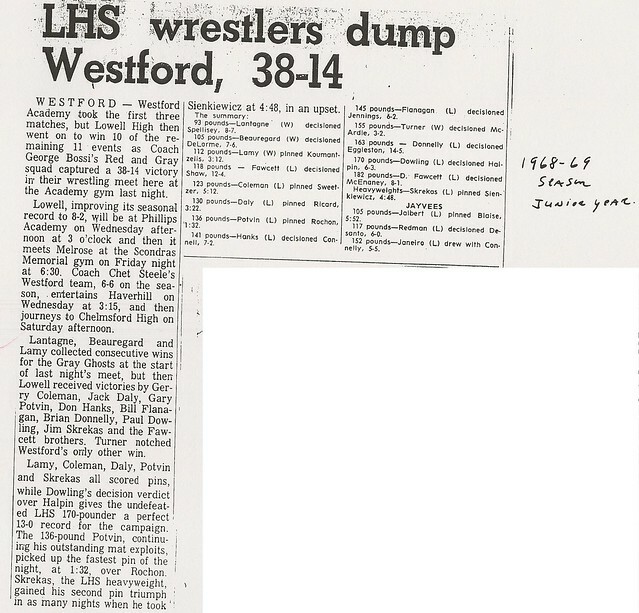 A member of Coach George Bossi’s Wrestling team, Paul fashioned a 7-5 dual meet record during his sophomore year (1967-1968) as Lowell won State and New England Team Championships. 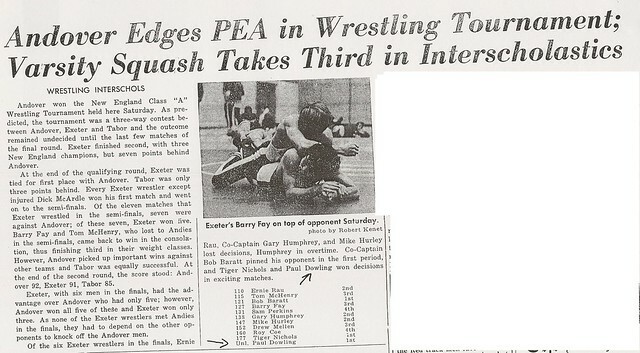 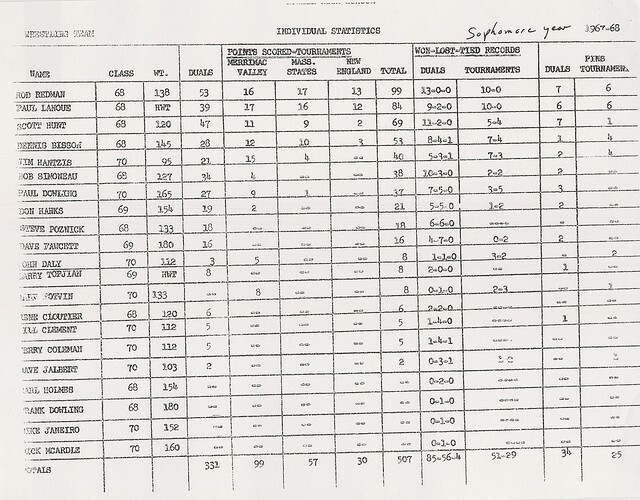 Paul then proceeded to compile a 24-0 dual meet record over the course of his junior (1968-1969) and senior (1969-1970) seasons, winning North Sectional Championships each year. 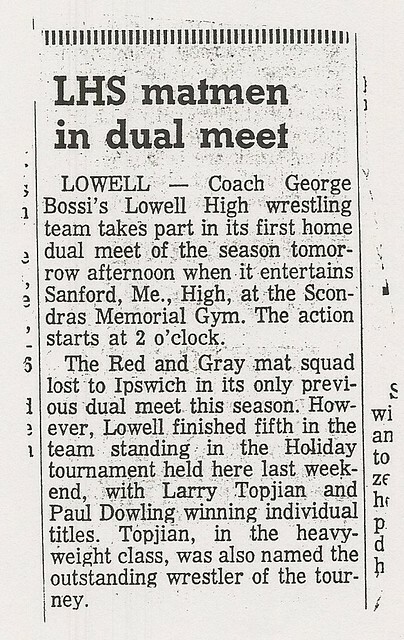 As a senior Captain Paul placed 3rd individually at the Massachusetts State Championship Meet and 2nd at the New England Championships at 175 pounds as the Red and Gray were team Co-Champions at the New Englands. 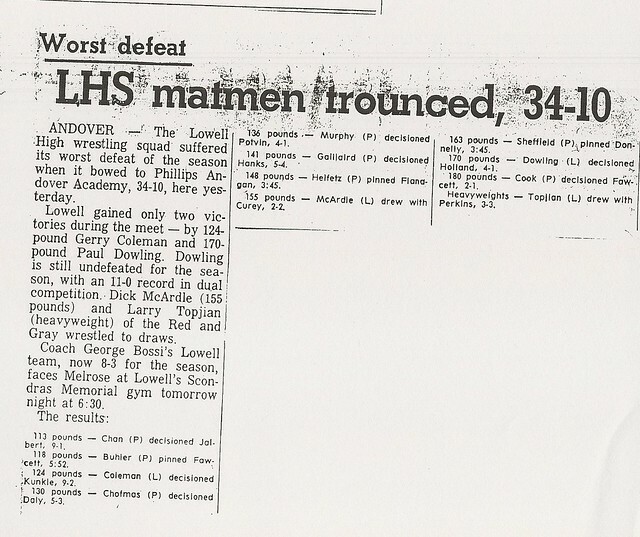 A three-year varsity performer for Track Coach John Lang, Paul was a reliable weight man. 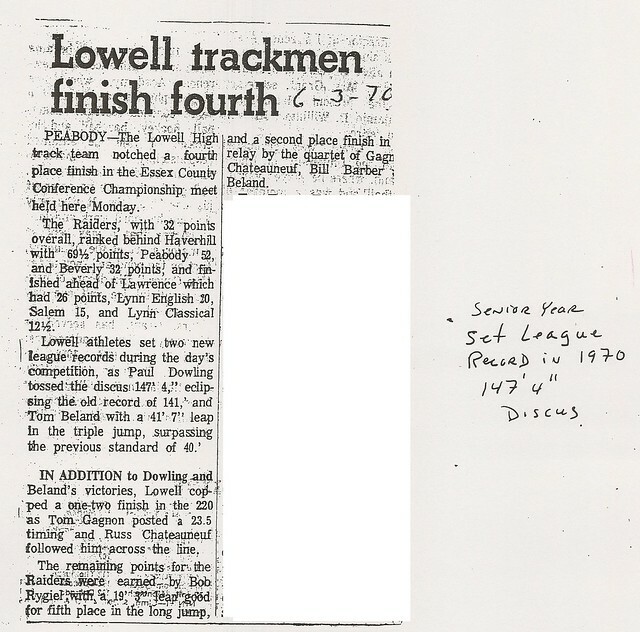 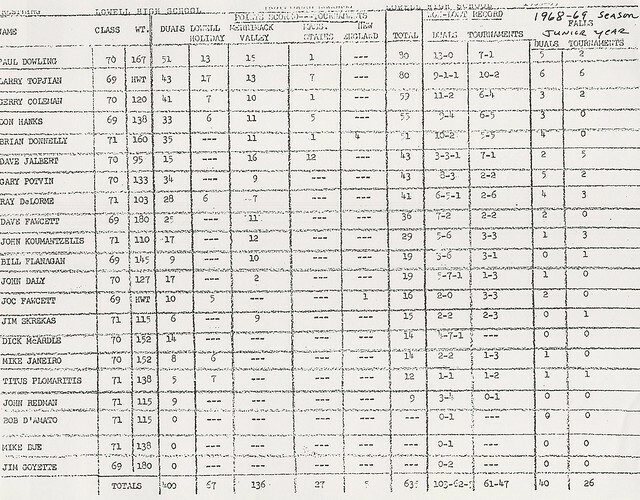 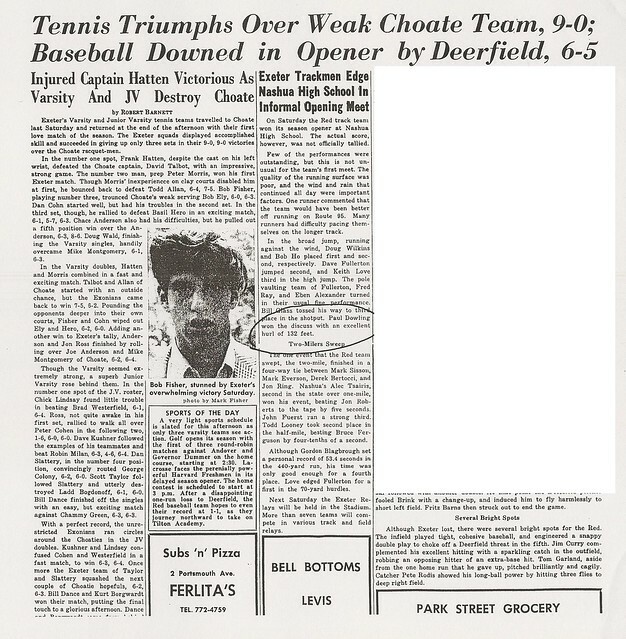 As a senior (1970) he set an Essex County League record, winning the discus with a throw of 147′ 4″. 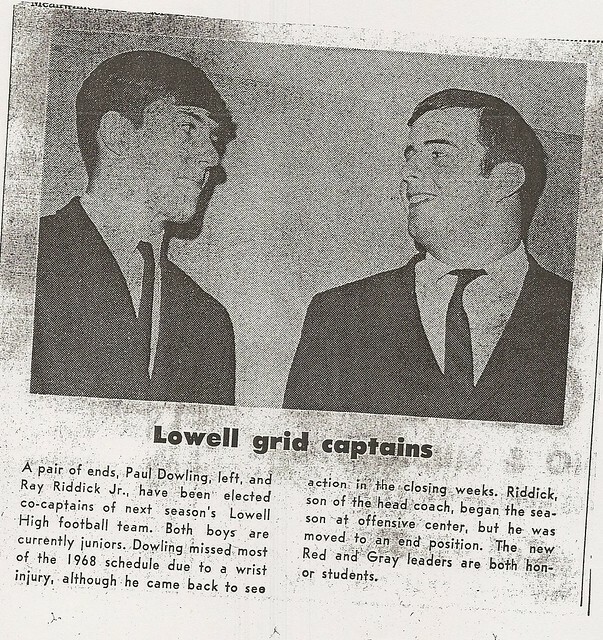 An excellent student, Paul enrolled at Phillips Exeter Academy after graduation from LHS and continued to display his athletic versatility. 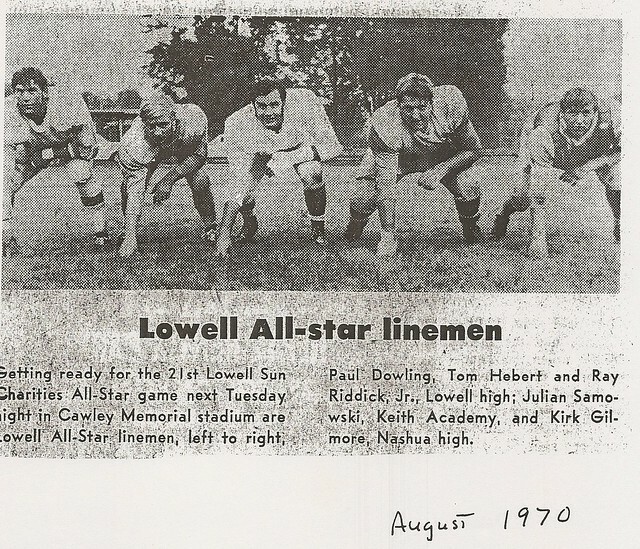 Paul was Football team MVP and a Boston Globe and Boston Herald All-Prep selection, undefeated New England Class A Prep Heavyweight Wrestling Champion, and New England Class A Prep Discus Champion. 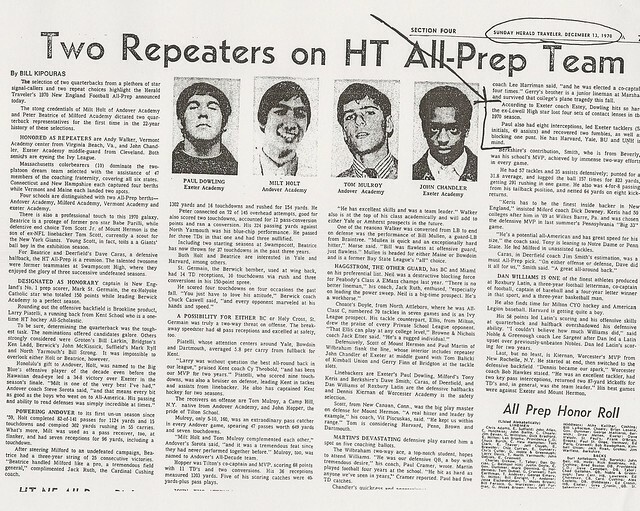 After graduation from Exeter, Paul attended Harvard University, where he was a three-year letter winner for Coach Joe Restic’s Crimson Football Squad and a member of the 1974 Ivy League Champions. 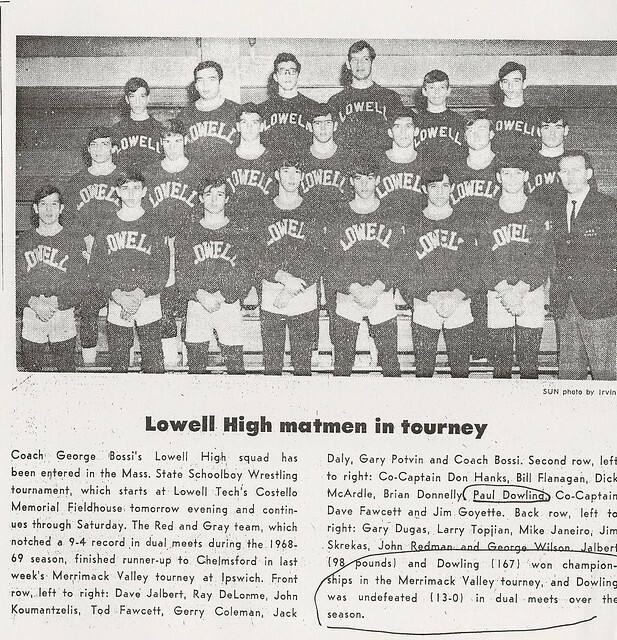 After graduation from Harvard Paul followed a career path into education, serving in a variety of teaching and administrative positions at Cushing Academy in Ashburnham. 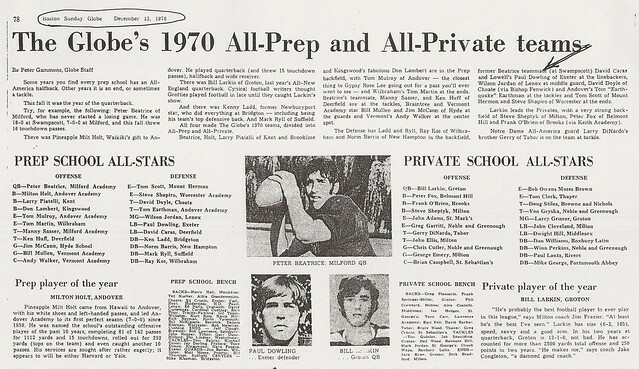 He remained involved in athletics and continued to display his wide array of talents, this time as a coach. 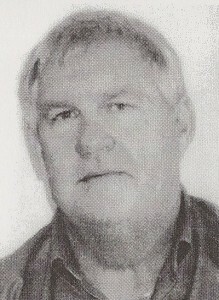 Since 1979 Paul has served as Defensive Coordinator for the Varsity Football team at Cushing. 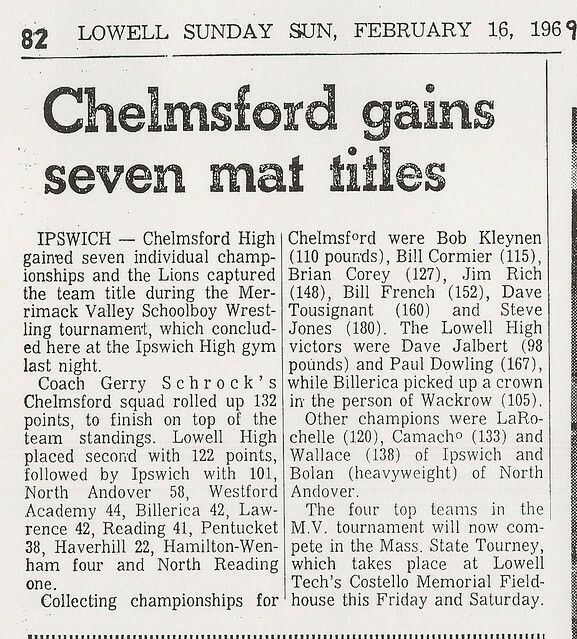 He has also coached Varsity Track (shot put, discus, and javelin) at Cushing and served as Varsity Wrestling Coach from 1979-1988, mentoring numerous Class A and New England Prep Champions and leading his team to one undefeated season. 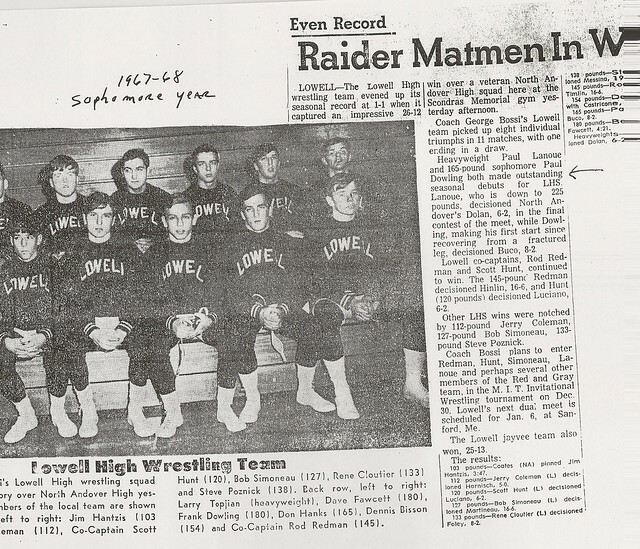 In addition to his Hall of Fame Coaches, Paul joins countless teammates from the Raider Football, Wrestling, and Track programs in the Lowell High School Athletic Hall of Fame.